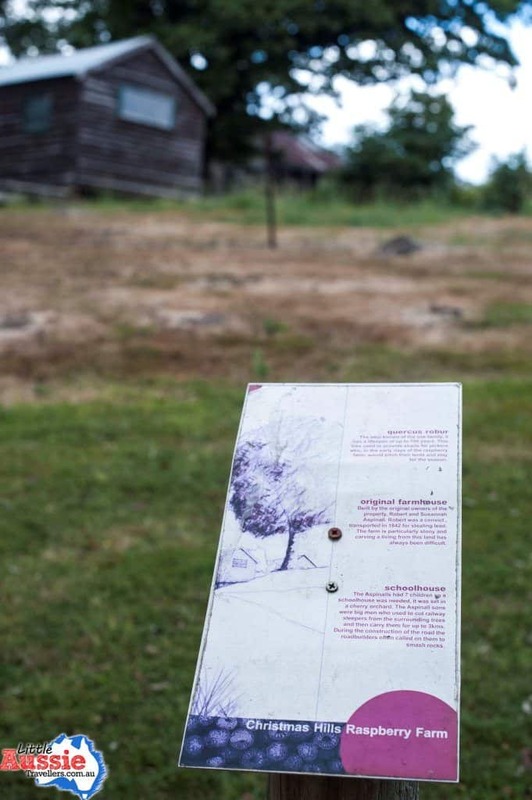 Would you dare walk the night with the ghosts of convicts? 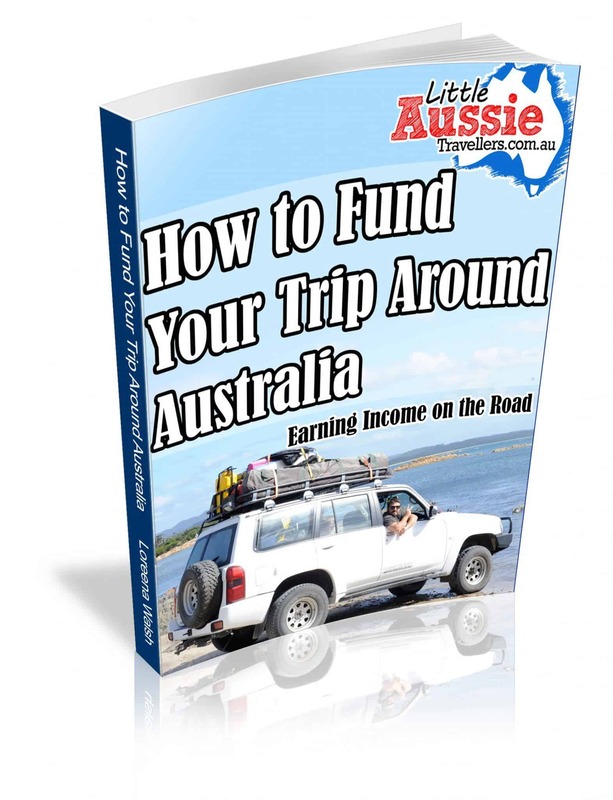 There is great weight that is carried by learning the heavy history of Australia’s settlement. The circumstances and conditions that surrounded many of the early convicts were beyond how I think any of us could imagine living today. The sordid conditions inflicted upon these “hardened criminals”, and purely just due to the era in which Port Arthur existed, meant that problems with illness and death were a constant reality. If you take time to breathe, soak in the surrounds, and imagine the hills back in those days, there’s comes an overwhelm of sadness and so much darkness. So who would be crazy enough to walk the convict site at night, for a ghost tour then I hear you ask? Ummmm, it seems we would! Does Port Arthur Have Ghosts? Whether you are a believer in ghosts or not, there is something a little daunting about experiencing Port Arthur at night. Follow me, you’re standing amongst a site of tumbled ruins. You can see the separate prison where prisoners were punished with a life of silence and isolation until they broke, the asylum where the shells of broken men are cast aside, the woosh of the waters creeping in and out of the bay, the tall, looming trees that stand overhead that were once a forestry prison for “caterpillar gangs” of men carrying heavy logs on their tired shoulders. The gravel crunches beneath your feet, as you join a group of nervous people, cast into shadow by the low light of lanterns, stepping into the unknown. It takes some effort to walk on into the pitch black darkness. What Happens at the Port Arthur Ghost Tours? 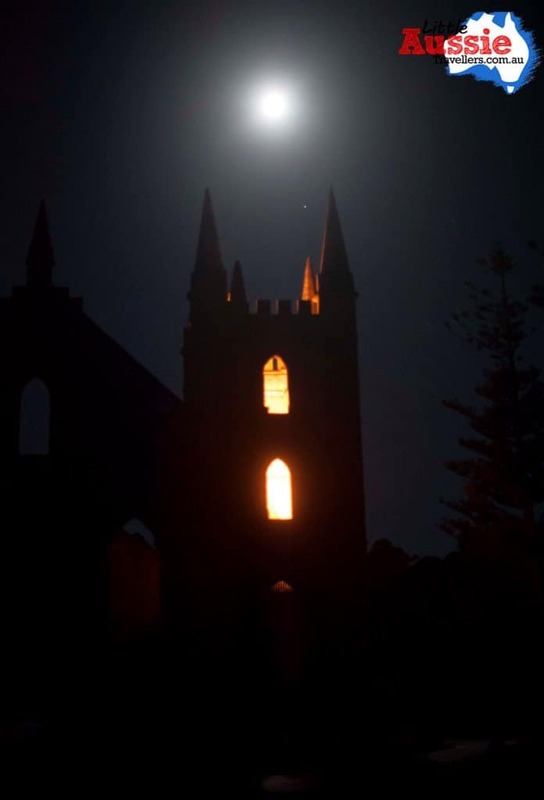 Trying your hardest to be brave, set off into the night with your guide and hear about the sightings, and experiences that have been reported at Port Arthur since the 1800’s. The ghost tour is a wonderful experience that brings to life a different range of stories filled with strange encounters both in the current times, and years long ago. 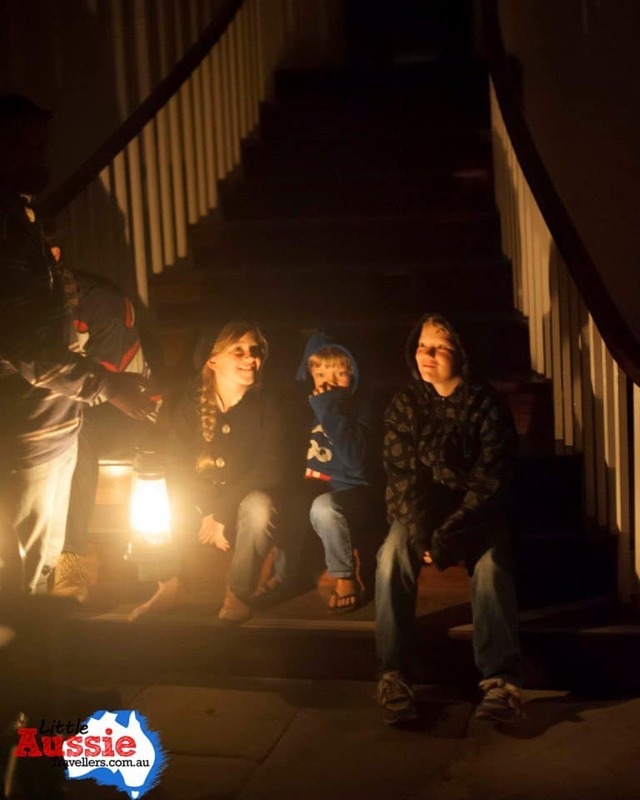 You’ll walk with an experienced guide, and group of fellow daredevils, led by lantern light into a range of buildings, to learn about the history of the people who once lived there, and the ghosts who are said to still inhabit them today. The ghost tour lasts for an hour and a half and offers an intriguing insight, that will have you jumping at shadows, listening for footsteps that don’t belong and there is no explanation for, and staying as close to the middle of the group as you can, for protection. 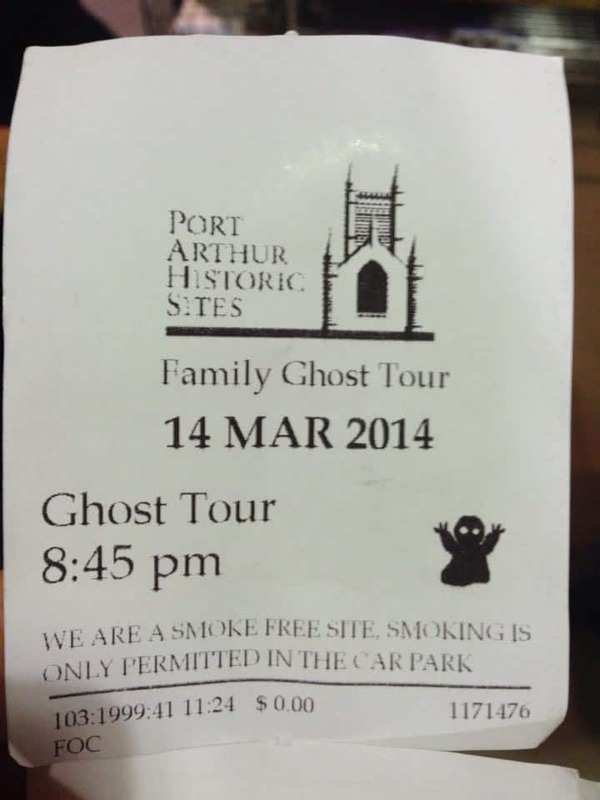 Is the Port Arthur Ghost Tour Suitable for Children? For our kids, they are aged 7, almost 9 and almost 11 at the time of doing the tour and they coped with it just fine, even taking the role of lantern bearer very seriously to help light the group. Byron, being the youngest was a little cautious at first, clinging tightly between myself and Matt during the more scary stories, or buildings, he found his groove though, and they all enjoyed the night. Amahli chose to hang out up the front of the group with our tour guide, her theory being that she could run away the fastest if anything happened. The best part for the kids was learning the extra history and stories of people’s lives in the community. Each building we visited may have been dark and eerie, but it was also full of life and history of it’s past inhabitants. 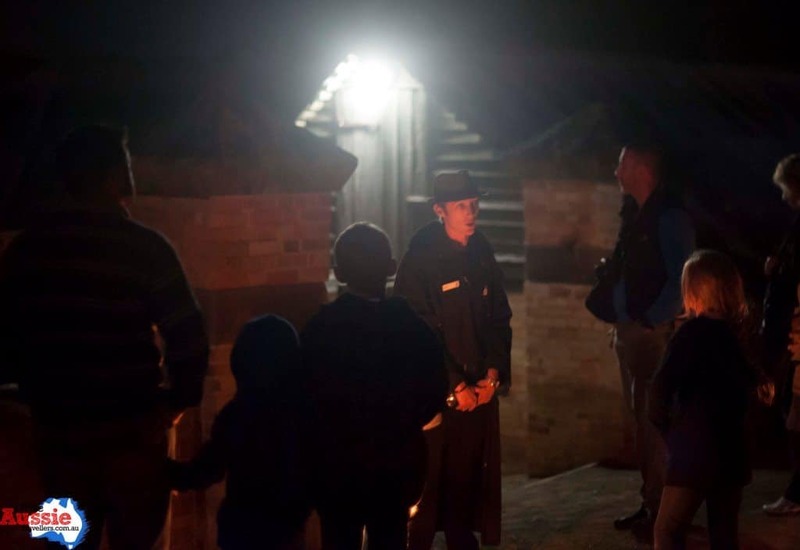 For those not wanting to take the chance on the night time tour with kids, there is a Kid’s Ghost Tour that runs at Port Arthur during select times of the year, so if you’re little ones are a little sensitive to scares, then it’s a great opportunity for them to take part during the daylight hours. 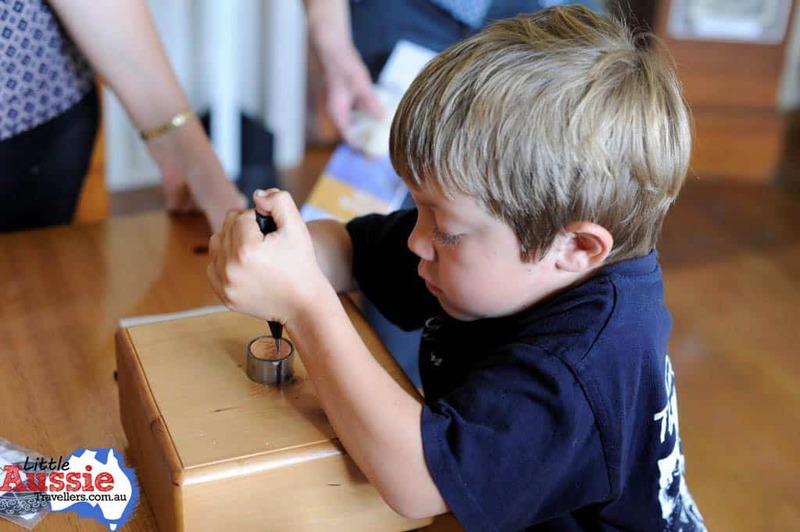 Be sure to check the website for that, and other children’s activities at Port Arthur. 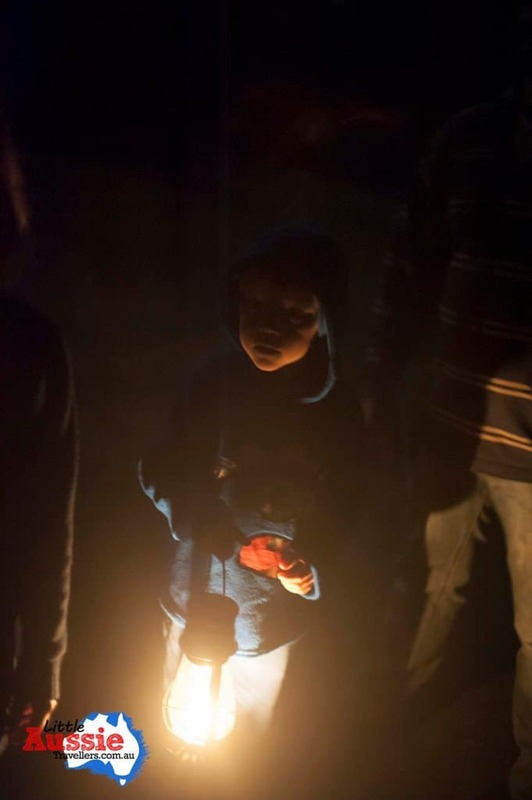 Would we Recommend the Ghost Tour for Families? A resounding YES! Whether you are a believer in spirits, ghosts, the afterlife or whatever other name you choose to give it, experiencing Port Arthur at night will give you a new appreciation for the lives and experiences of the founding generations of our country. 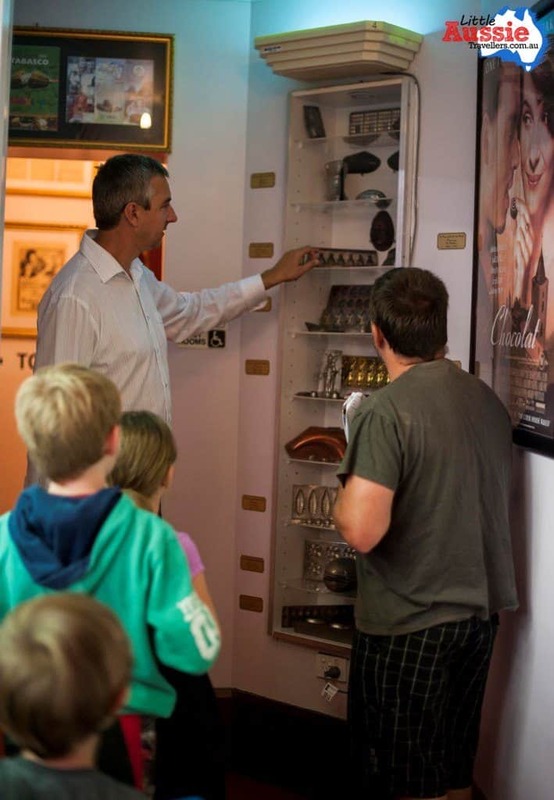 I will leave it up to you to make your own mind up on what you see, feel, hear, smell or sense during your time at Port Arthur, but I’d love to hear your thoughts if you do decide to take the tour. Have you been scared by ghosts at Port Arthur??? Let us know below…. *Disclaimer: We were guests of Port Arthur, however all experiences and thoughts are our own, shared to give you our honest opinion on our experience. 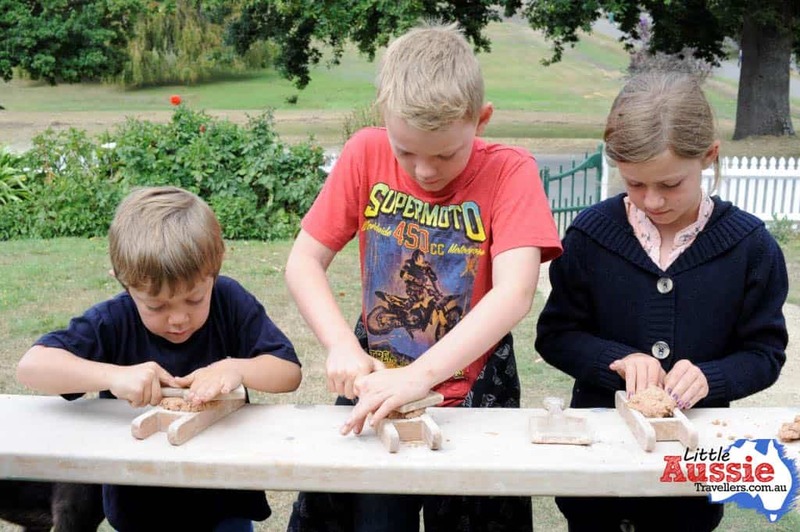 We were really excited to learn that Port Arthur runs a wonderful program over the school holidays, that bring history to life, with a stack of child friendly fun. 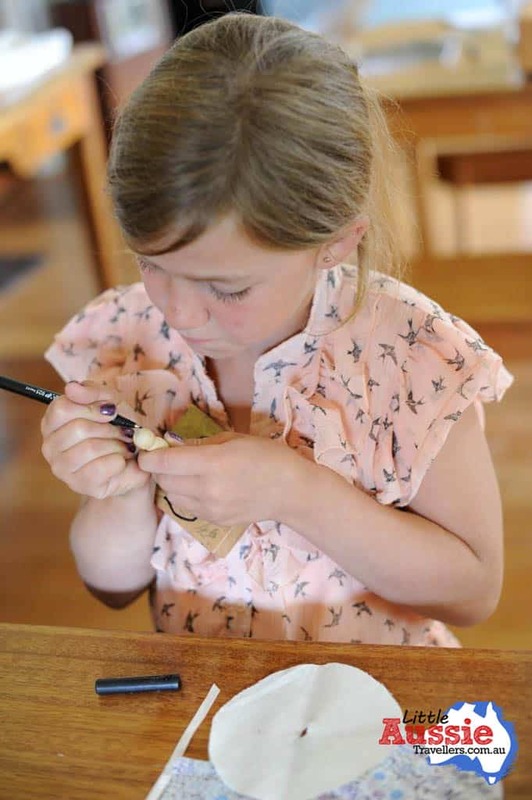 While our kids do really enjoy all the history of Tasmania, it’s even more special when there’s child focused activities for them to enjoy during our visits. Gemma, the lovely Education Officer for Port Arthur greeted us with a ready-made challenge for the kids – To try their hand at brick making. What child doesn’t like to play with clay! Gemma explained that the kids would be using a process that replicated the way the convicts would make bricks, it was just on a smaller scale. In order to build all the structures around Port Arthur, convicts produced a constant supply of bricks, with each able to produce over 1000 bricks per day, which were then left to dry, and later used in construction of buildings around the site. From brick makers to “Love Token” designers, a new story unfolded. I hadn’t heard of love tokens before our visit to Port Arthur, but those who were sent away, or had to leave their families would use things like coins, filed to a smooth surface, and engrave designs or messages in them so loved ones left behind would remember them. Such a beautiful gesture and so much fun for the kids to create. Lastly, another new item I’d not heard about before our visit – Fantascopes. These simple wheels are absolutely delightful and left the kids wondering just exactly how they worked. If you watch at the end of the video, you can actually see the fantascope working, in the mirror when Matt captured the footage on film. The best thing about these activities were how mindful the kids became of how life might have been all those years ago, both for the convicts who spent their days with hard labour and jobs such as brick making, and for children, for whom flashy video games and even plastic toys were not a reality, more simple fun and creativeness would instead fill their days. If you happen to be around Port Arthur while their children’s programs are running, then be sure to take the time to visit, not only is the visit itself a wonderful experience, but the kids activities add a different dimension which really offers something unique and exciting. There are moments in life when things just fall spectacularly into place, and you feel all parts of the universe aligning, our visit to The House of Anvers was one of those times. One of the goals of our Australian travels is to uncover the hidden gems of the country, and our visit to Anvers is truly one I don’t think I’ll forget. The people, the atmosphere, the story and the must-taste product produced with so much love, by hand, on premises, all combine to form a magical world of chocolate. Todd, the National Marketing Manager is one of the people who help to make Anvers the company that it is, and is one of the most lovely people I think I’ve met! 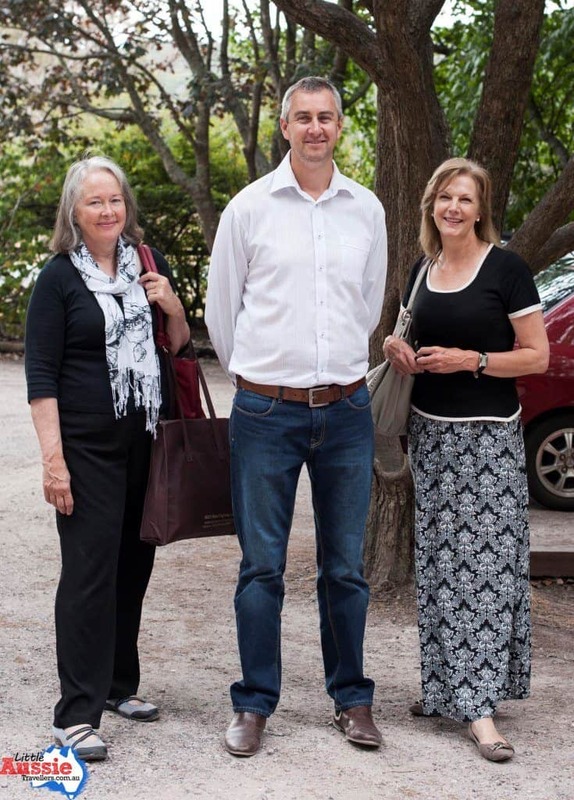 When we arrived, Todd was accompanied by 2 lovely ladies, Margaret and Virginia, customers of Anvers who had won the opportunity to make their own chocolate! It turned out that Margaret and Virginia were also some of the most lovely people you could possibly meet, and we chatted for quite a while about Anvers, and the world of home education for children, as both ladies had educated their own children via homeschool. It’s always nice to meet others who understand that real world education on the road can be a wonderful experience for travelling families. Chatting aside, there was an entire world of chocolate awaiting us, and the kids tested a variety of fudges on offer, before Todd took us for a tour of the facility and explained the history of Anvers to us. After hearing the journey of Igor Van Gerwen, the founder of Anvers we realised that with the love and passion he has for his product, he may just be Australia’s most passionate chocolatier. Igor developed a passion for chocolate as a young man in Belguim, training initially for six years, and then further continuing his education, Igor trained under some of the world’s greatest chocolatiers giving him a wonderful foundation for creating his very own Australian chocolate factory, which began in 1989. 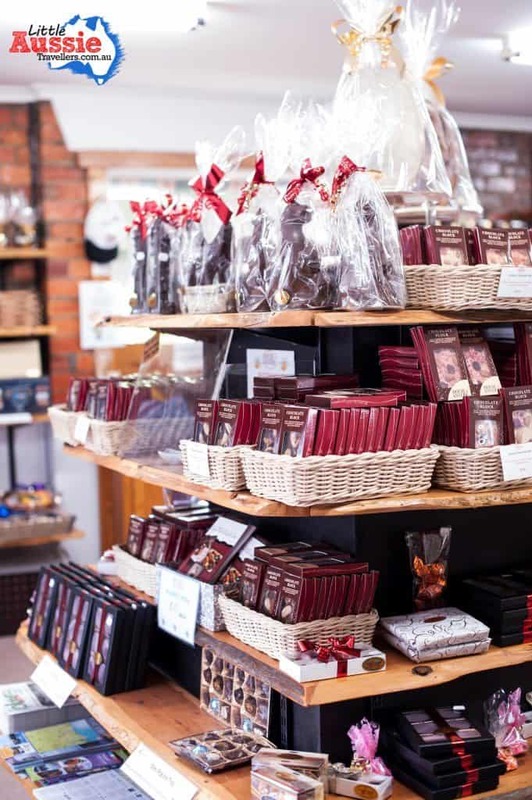 Today, the factory sits amidst 1.2 hectares of luscious vegetation, and boasts a small museum, viewing deck to watch the chocolate production, store complete with free tastings, and a spectacular cafe full of delicious local inspired cuisine. As someone who is very fair-trade and environmentally concious, I was really excited to discover that Igor holds the Australian distribution rights to the worlds rarest chocolate, that was brought back from extinction! 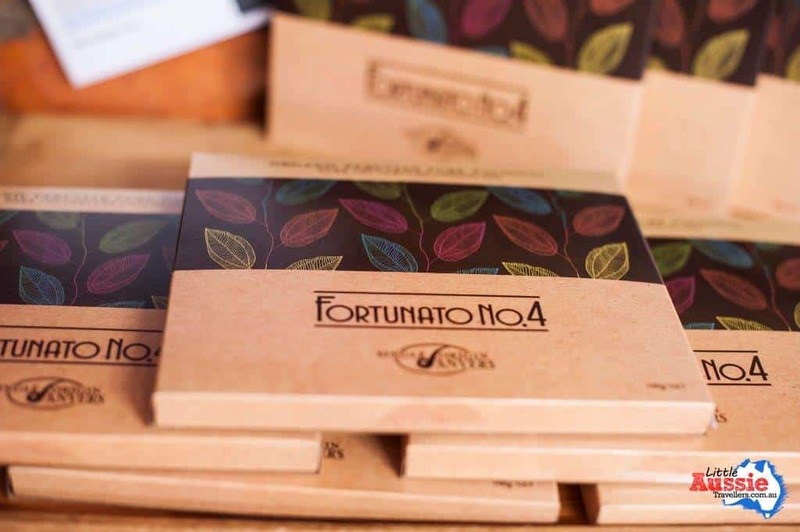 Fortunato No.4 chocolate is made from Nacional Cacao a plant that was thought to have disappeared 100 years ago, until it was found by chance in Peru. Through management and planning a crop has been developed into a commercial size that gives farmers and workers an opportunity at ethical pay rates and work conditions, while providing a premium, one-of-a-kind, pure chocolate to a growing number of customers worldwide through special licensing. Of course, the most fun part of visiting House of Anvers is the taste testing, and buying up lots of goodies while there. We grabbed a few gifts for friends and family back home, the main problem being we’ve already eaten half of them! Come along if you’re in Tassie and taste some of the mouth watering chocolate treats, superb truffles, or grab a bite to eat from the cafe, you definitely won’t be disappointed. 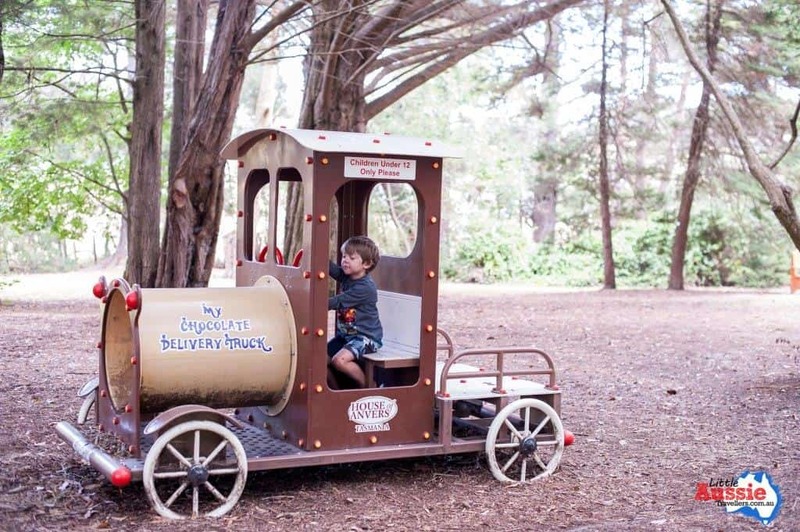 The kids will enjoy roaming the gorgeous, tree-filled spaces too. The most single, outstanding thing about this wonderful business is the love and passion behind the product. The chocolate here is amazing, and while the taste and quality speak for themselves, it’s the family and story behind the chocolate that truly make it something special. You can order House of Anvers Chocolates Online, and we can definitely guarantee you won’t be disappointed! 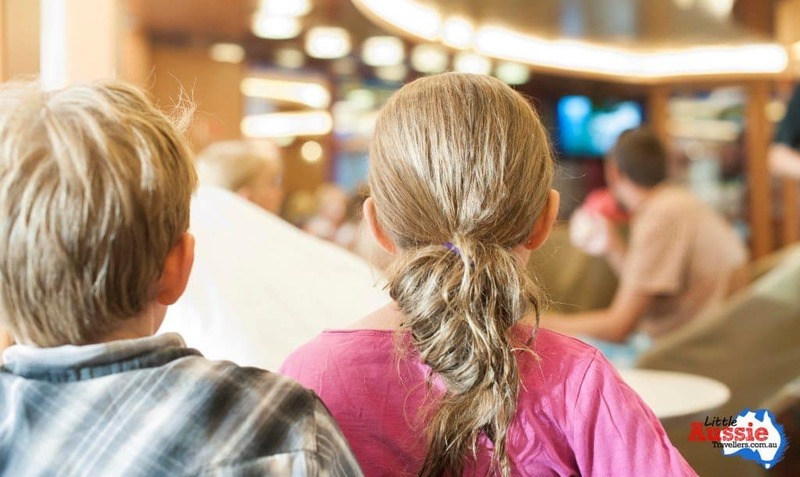 Sailing Spirit of Tasmania with Kids (& a dog). It is with so much joy and excitement that I share with you the first amazing journey of our new life as full time travellers. The hard work of getting ready to travel was swept aside in preparation for our trip on what the kids happily referred to as “the ferry”, known to everyone else as Spirit of Tasmania. Life doesn’t get much better than setting off on a road trip, knowing the end result will be exploring one of the most prominent destinations ever to feature on our must-see list. Any friends we’d had who’d visited Tasmania previously had flown in for short trips and hired cars, so while we weren’t quite sure what to expect, we’d been showered with stories and yarns from other travellers who were more than happy to share their experiences at each of the campsites we’d stopped at on the way. One thing was for sure, Tasmania, they said, was amazing, and Spirit of Tasmania was a great adventure of its own. We haven’t met a single person who thought otherwise. 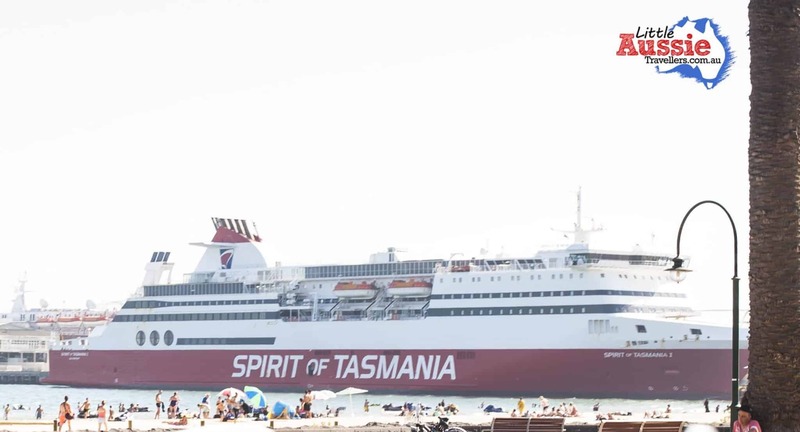 Spirit of Tasmania sails nightly from Melbourne departing at 7:30pm, sailing overnight and arriving at 6am in Devonport, during peak times there are also day sailing options available. Around 5pm check-in opens, and stays open until 45 minutes before departure. It’s a smooth process, it may require a short amount of wait time, but we promise it’s worth it. It’s a great idea to make sure you have drinks in the car especially if Melbourne puts on the summer heat as it did for us. One thing to be aware of when travelling to Tassie, is that the quarantine regulations are quite strict. This is in order to protect the farming and other industries that could be decimated by diseases carried over from the mainland. We were ushered through the security checkpoint after answering a range of questions about things we might be carrying, such as fresh fruit and vegetables, our fishing gear, and of course, about travelling with our dog, he had special requirements of his own. The entire process is really well co-ordinated and organised, but if, like us you are travelling with camp gear, a caravan and food, it pays to read up on the quarantine requirements before you arrive, there are a few simple things you can do to make the process a lot more smooth and faster. It didn’t take us long and we were boarding the majestic ship that is Spirit of Tasmania I. 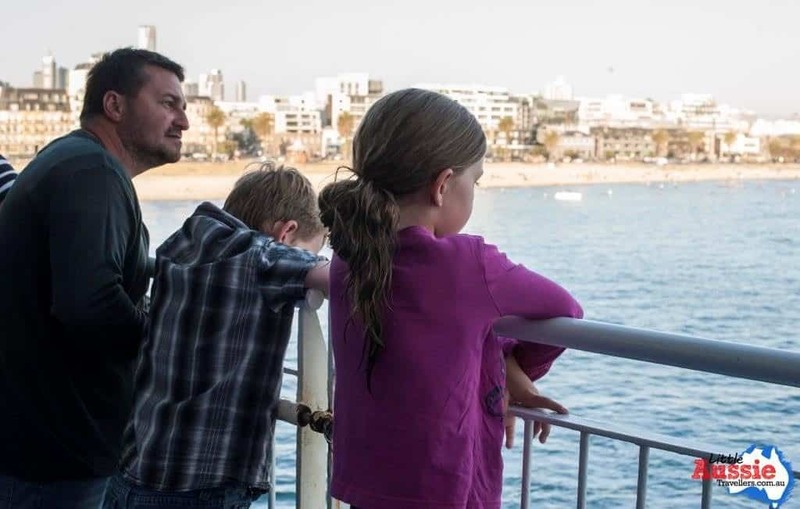 One of the best things about Spirit of Tasmania, that is especially impressive if you’re like us and need to bring your vehicle, is that it is a drive-on, drive-off ferry, when you’re towing a caravan this makes things even more convenient. There’s no need for awkward reversing angles, it’s super easy to board and disembark, just follow the directions and drive forward. With the car secured, and Yoshi locked safely in his overnight kennel, we headed off to explore the ferry that had been the reason for so much excitement over the past week. The first place to head, of course, was the deck to see what could be spotted frolicking in the ocean waves. 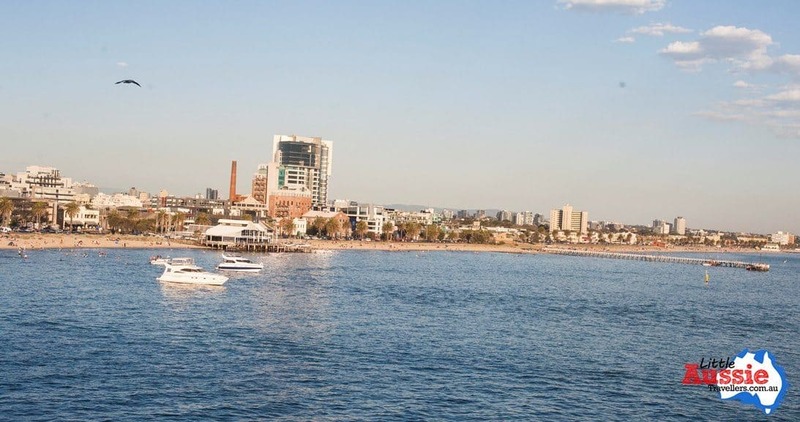 We soaked in the imagery of Port Melbourne, the waves alive with jet skis and swimmers all washing away the day’s heat. The eagle eye of the kids spotted opaque blobs in the water; jellyfish floating in the boat’s current as we left the shore. Spirit of Tasmania has everything you will need on your journey to Tassie, most of which is located on the central deck. 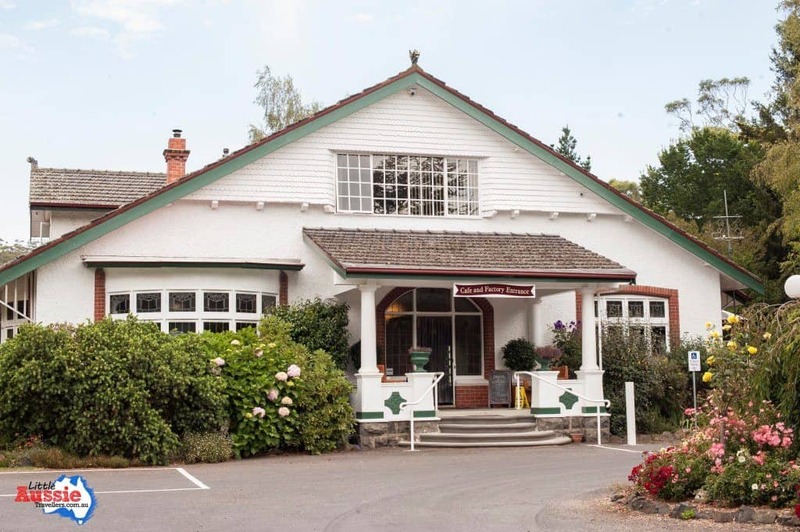 You’ll find reception who can help with any enquiries, a tourist information centre which offers all the information you’ll need before hitting the shores, brochures highlighting must-see attractions and things to do in Tassie, as well as permits for National Parks, and fishing licenses. There’s also a store full of goodies such as souvenirs, toiletries, refreshments and for those who may need it, they also stock sea-sickness medication which Matt had to grab as just-in-case insurance. 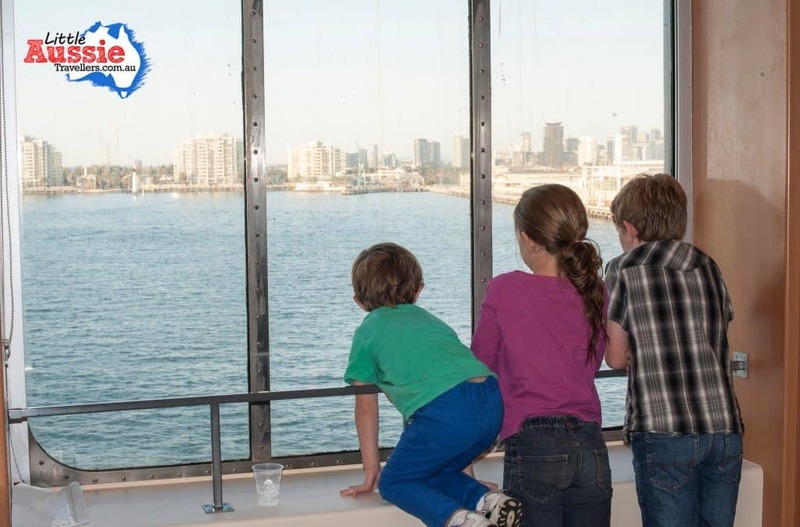 The lounge area has cozy seats and televisions showcasing movies for on board entertainment, the kids enjoyed taking some time out watching a movie while we kicked back to relax with a couple of refreshments. 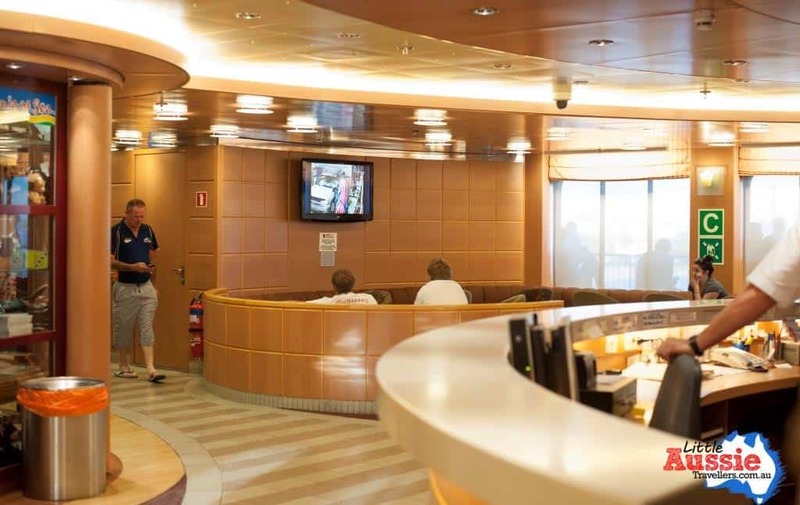 There’s also a movie theatre, which plays a range of the latest movies in an early and late session, as well as a kids play room, and games room along with a bar if you’d like to enjoy a drink while you sail. Mains of choice were “Nichols chicken breast marinated in sage and white wine” and for Matt “Tasmanian tenderloin of beef”, WOW! Desert consisted of “warm chocolate tart with double cream” and a “House of Anvers tasting plate”, some of the best chocolate you will taste anywhere, ever. 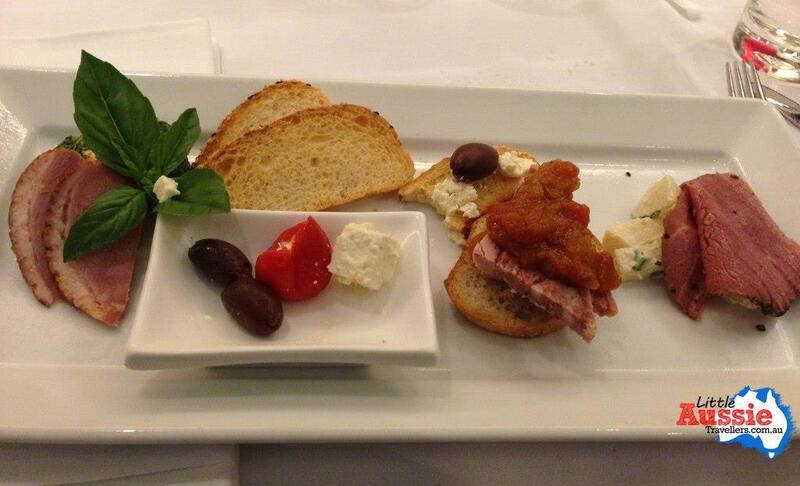 The photos tell the story, the food tastes even better than it looks. 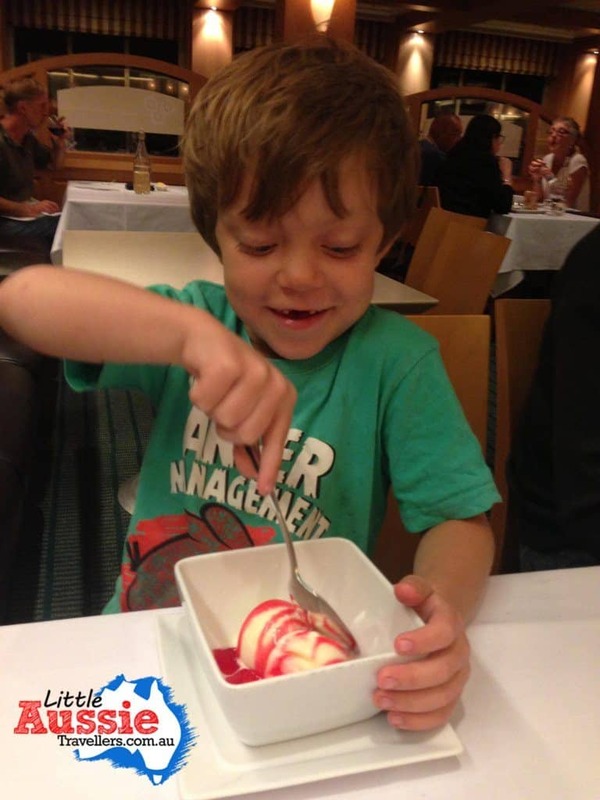 The great thing about The Leatherwood, is that the kids meals are a wonderful selection of healthy, real food. 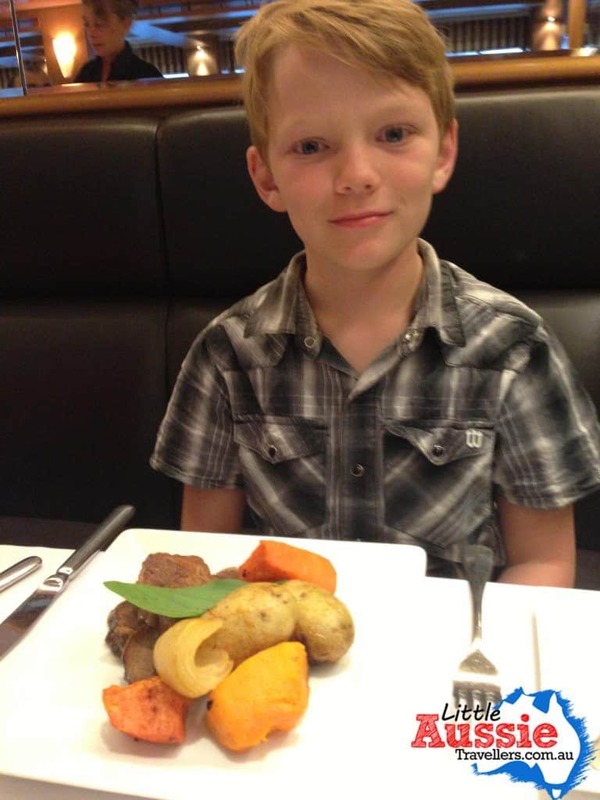 Byron and Amahli chose Nichols chicken breast and vegetables, while Jackson decided on the Roast of the Day with vegetables, and they all enjoyed ice cream and topping for desert. 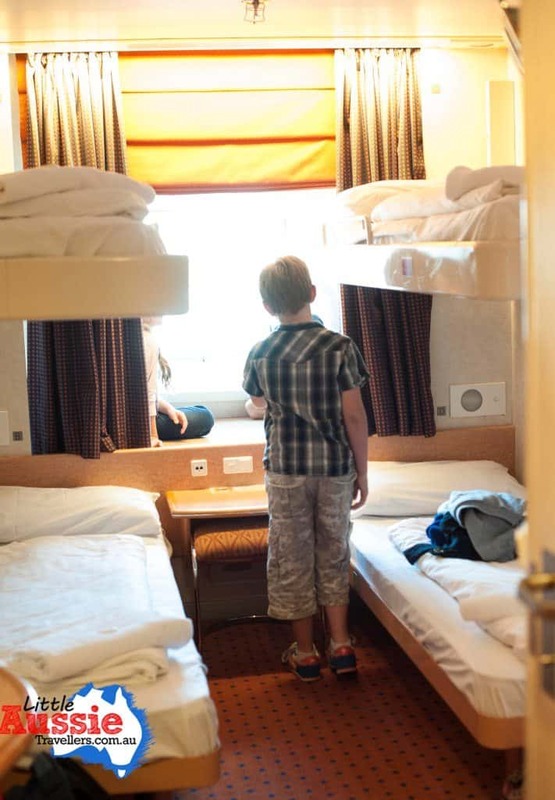 Our rooms aboard Spirit of Tasmania were 2, 4 berth cabins located at the front of the ship, meaning the kids could sit up near the port-hole and look out to sea as we set sail, and even more excitingly as we saw the Tasmanian coastline come into view. 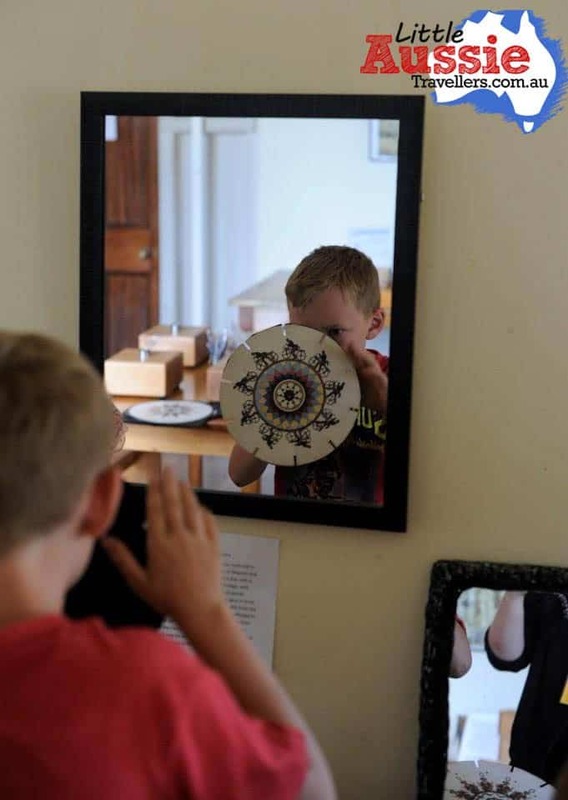 The rooms are comfortable, with plenty of room to unpack what you’ll need for the night, and a roomy en-suite complete with toilet and shower, which is a bonus to our kids at the moment after weeks of caravan travel. There are also power points to allow you to charge your phone and camera other gadgets while you sleep. 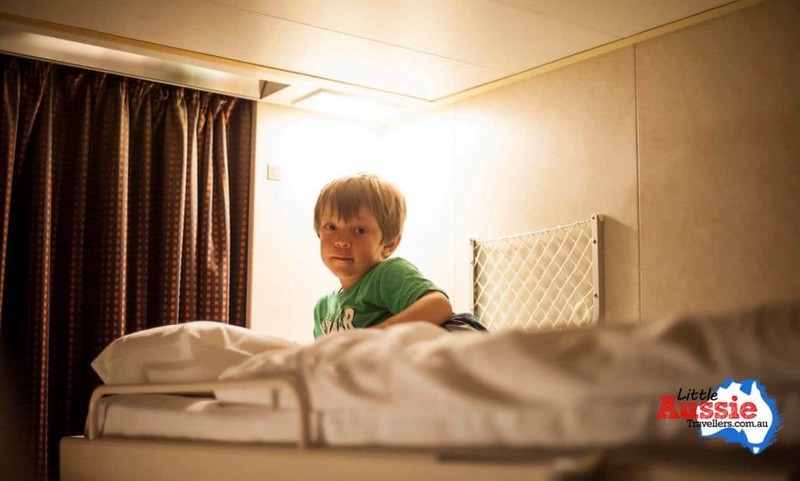 The sensation of sleeping at sea wasn’t something I’d thought about before we set sail, but as soon as the kid’s heads hit the pillow, they were out like a light, rocked gently by the waves of the Bass Strait. 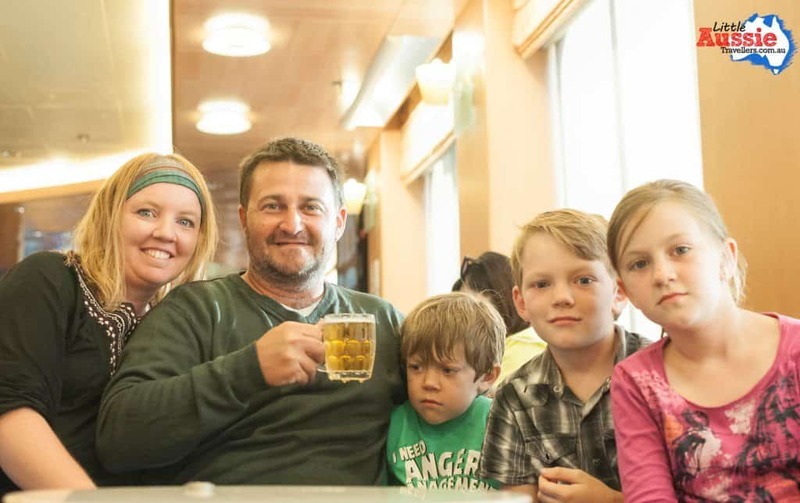 Matt was a bit concerned about sea-sickness which he suffers from, but a couple of Kwell’s eased any worries, and our big days of travel leading up to our Tassie adventures ensured he was tired, and slept soundly until the captain’s wakeup call just after 5am. So it was, that we made our way down the stairs, back to level 5, to collect Yoshi from his kennel. Needless to say he was overjoyed to see his people, and head back to the car to begin our Tassie adventures. A short drive off the ferry and a quick check through quarantine and we headed off into the Tasmanian sunrise. *Disclaimer: We sailed as guests of Spirit of Tasmania, however all experiences and thoughts are our own, shared to give you our honest opinion on our experience. 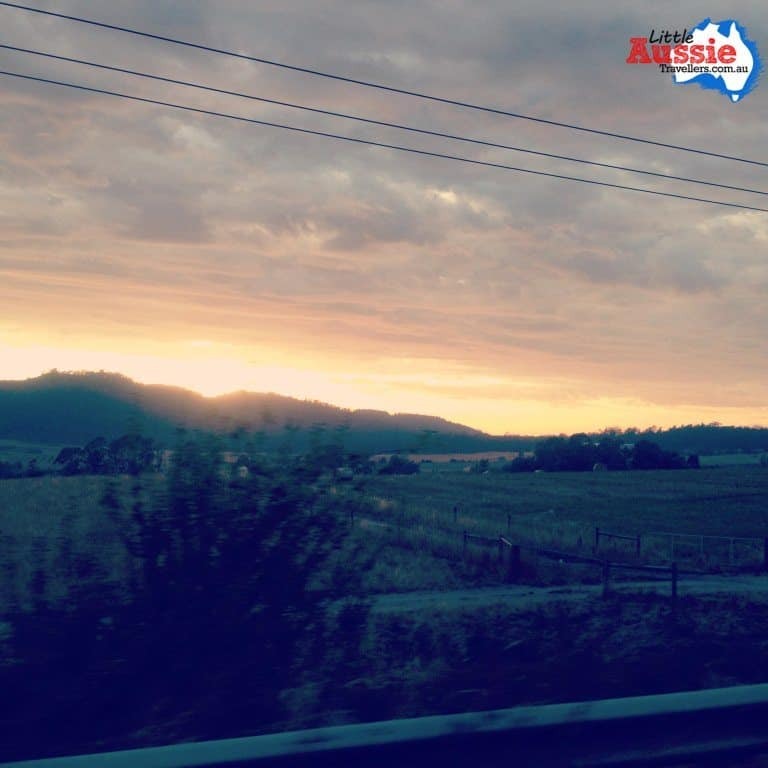 After waking at 5am aboard Spirit of Tasmania, getting organised and finally, driving off into the Tasmanian sunrise, we found ourselves with 3 hungry munchkins in the back seat of the Patrol. 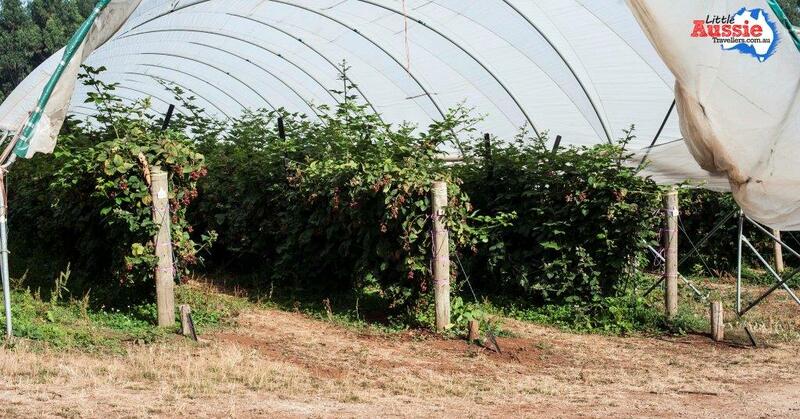 Luckily for us, Christmas Hills Raspberry Farm was the first stop of our Tasmanian Itinerary. 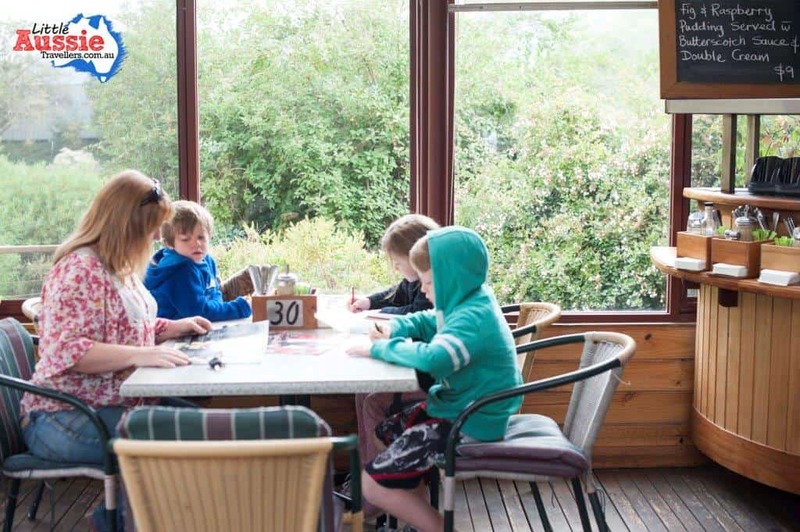 The café is situated between Elizabeth Town and Deloraine along the Bass Highway, which is only a short, scenic drive from Devonport. 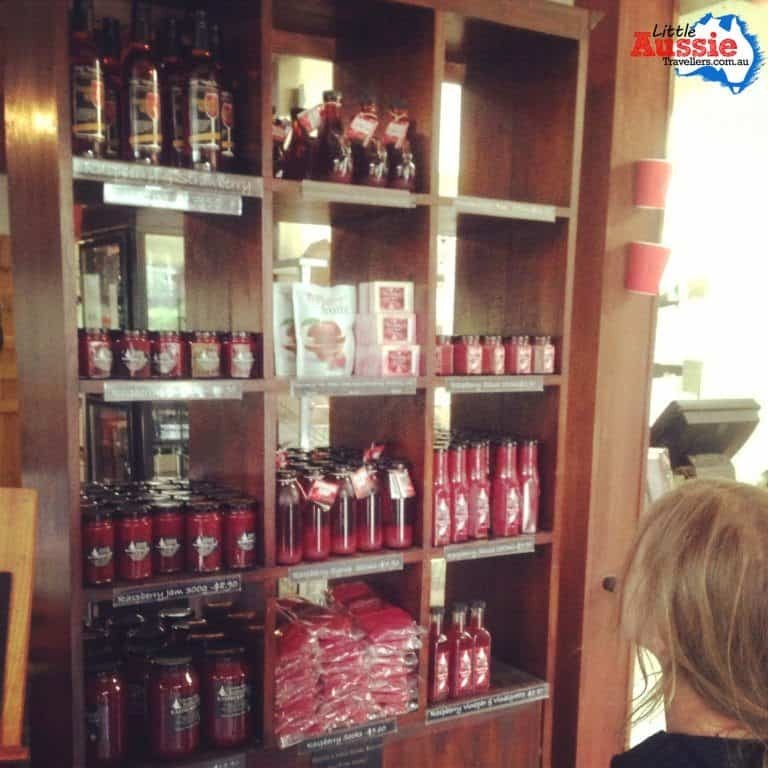 We’d been teased with stories of amazing Tasmanian produce via the tales of other travellers we met along the way, and the food on The Spirit had given us a wonderful insight into what to expect of Tasmania’s local food, yet we had no idea of the treat we were in store for here. 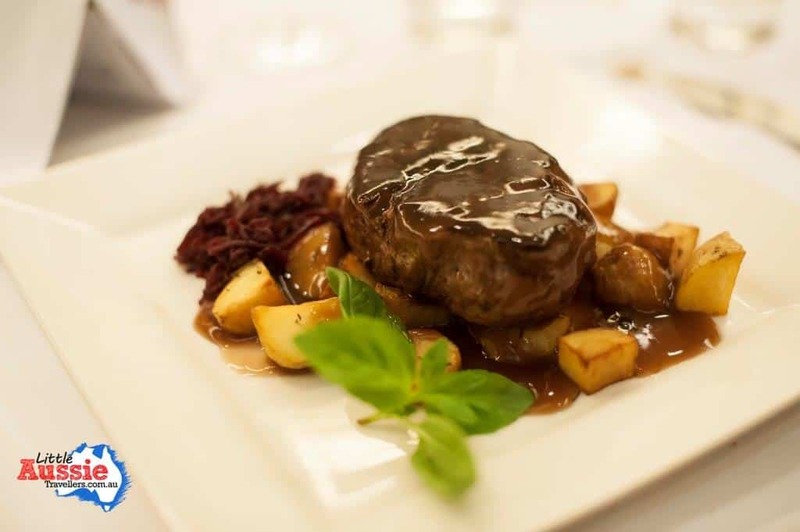 Established in 1984, the café caters to travellers, as well as locals, hosting events and special occasions in its spacious grounds. From the moment we stepped inside the front door we were tempted by delicious goodies waiting to be taken home to delight. The decision on what to have for breakfast didn’t come easily, with an array of raspberry delicacies begging to be ordered. 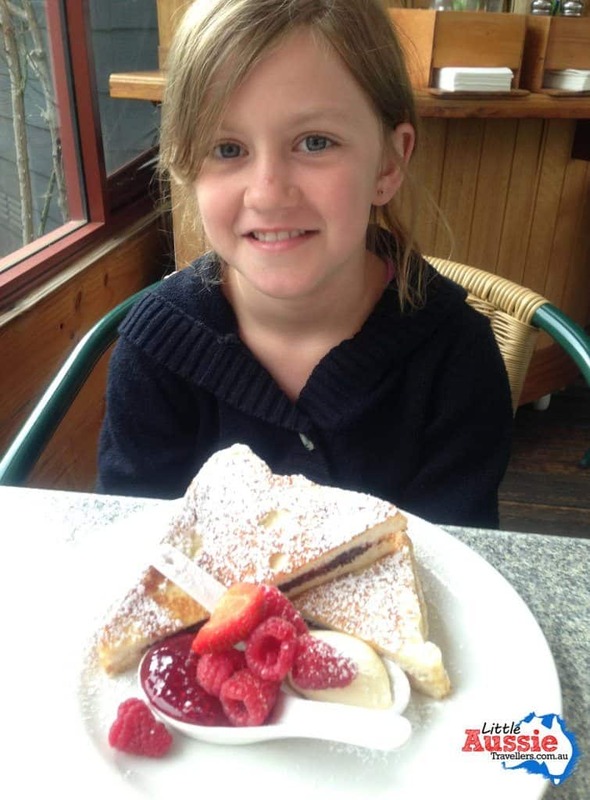 Chocolate, raspberry French toast, which Amahli talked about for the entire day, overjoyed at being allowed to eat chocolate for breakfast. 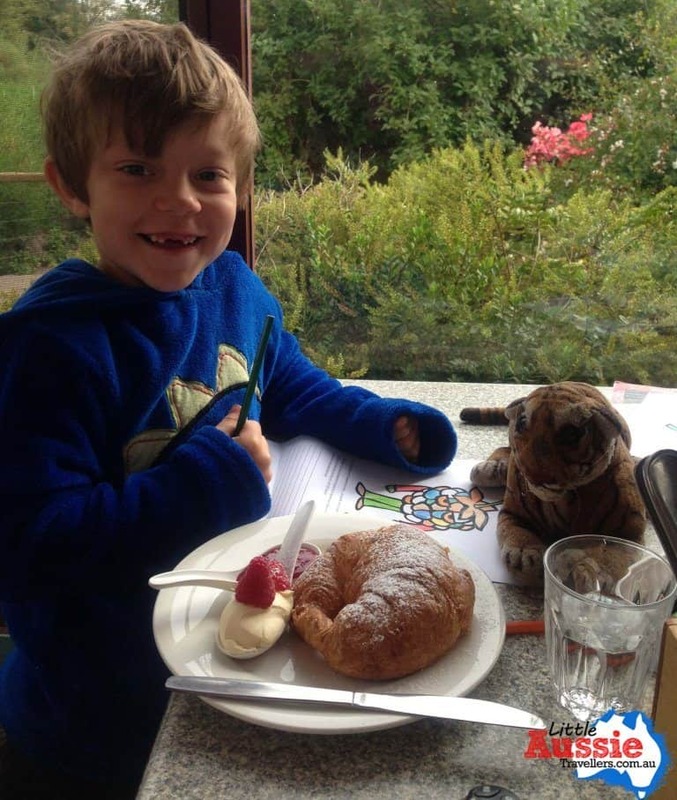 Byron ordered a croissant with raspberry jam, and Jackson the home made crumpets with raspberry jam and cream. 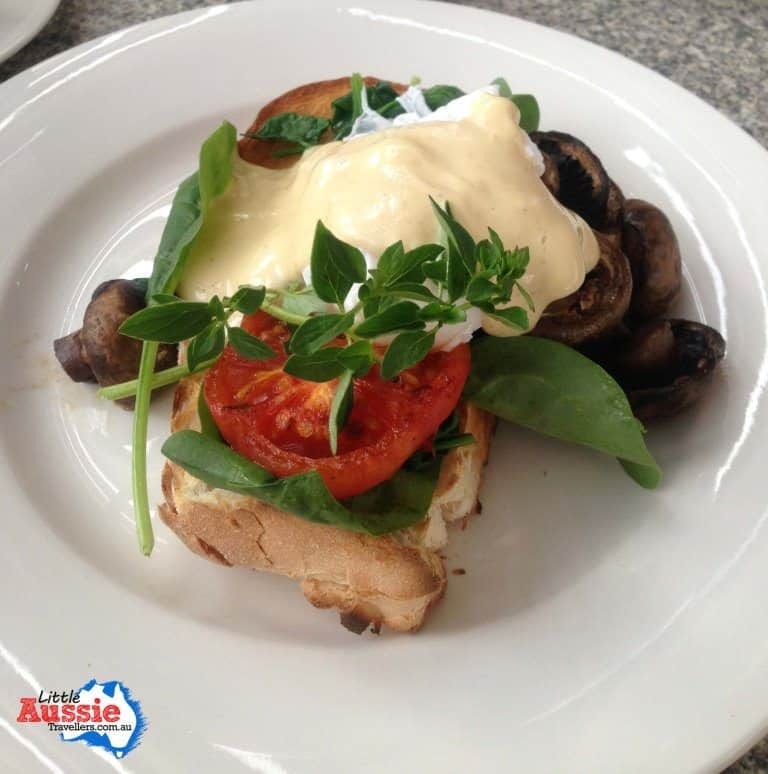 For myself, I couldn’t go past the poached eggs, with fried tomato and mushroom with wilted spinach and raspberry hollandaise sauce, I just can’t tell you how tasty it was, you’re going to have to come and try it for yourself! 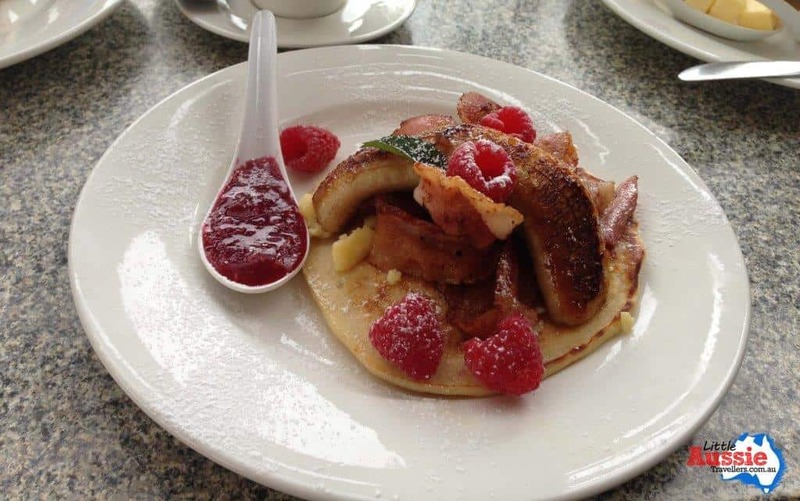 Matt’s choice was The Morning Craving, pancakes topped with grilled banana, bacon, cheese and raspberry jam. I was a little envious looking over at his plate, I could have tried everything listed on the menu. While we were relaxing over our gorgeous, tasty breakfast, Matt spotted some really large bees out the window and couldn’t resist going to explore. 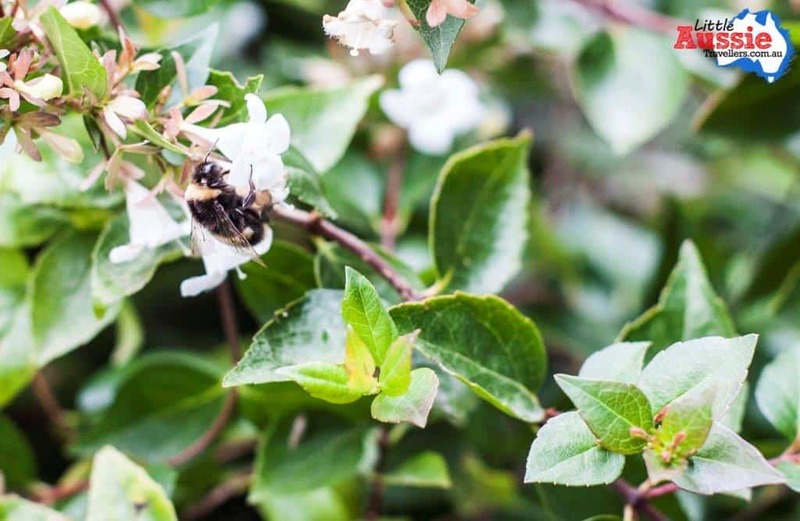 We were told they were bumble bees, and everyone was a little amused by his explorations, but it paid off with this gorgeous photo. The café is set on such a lovely property that we couldn’t resist taking a short walk around the lake to help burn off some of our breakfast, and we were delighted to discover the original farm house and take a look at the raspberry bushes being harvested. For those travelling with a caravan, there’s plenty of space to park in the carpark just opposite the gate, it’s well signposted so you’ll be sure to find somewhere easy to pull up. *Disclaimer, we were guests of the Christmas Hills Raspberry Farm, but all opinions, reviews and thoughts are our own, honest thoughts. As we discovered previously there are plenty of wonderful Tasmanian experiences for families to keep you going all year round. Now it’s time to take a closer look at some of the regions and attractions in Tasmania and the great things it has to offer for an adventurous family holiday that is unique within Australia. Let’s take a look at Cradle Mountain. Cradle Mountain is a famous icon of Tasmania’s World Heritage Wilderness and resides in the Cradle Mountain-Lake St Clair National Park, north-west of Tasmania. The region is a great family destination as it offers unspoilt and magnificent natural beauty with jagged peaks, rainforests, alpine woodland and an abundance of flora and fauna. Numerous day walks exist in the area around the mountain and is the starting point for the world-famous Overland Track which is a scenic six day walk that is regularly climbed by tourists, almost all year round. Ranger led Activities: An array of activities including slideshows, walks and informational talks exist for people of all ages, including adults and children throughout the year. They are run by the rangers and are educational, fun and a great opportunity to learn more about Tasmania’s national parks, cultural heritage, and wildlife. Sightseeing: For a bird’s eye view of the Cradle Mountain region and an all encompassing view of the stunning scenery, take a 30 minutes scenic flight with the family. It will be an experience you and your family will never forget! Fishing: The Cradle Mountain region has numerous lakes and rivers where you can go fishing with the family. Trout fishing is very popular so why not relax and drop in a line. 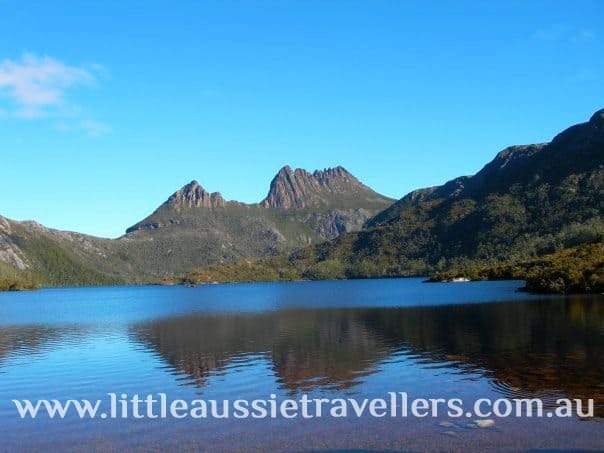 Cradle Mountain Day Tour Adventures: Take a tour to explore the beautiful scenery of the World Heritage National Park. Waterfalls, rainforests, glacial lakes and thousands of year old King Billy pine forests are some of the sights that you will see. 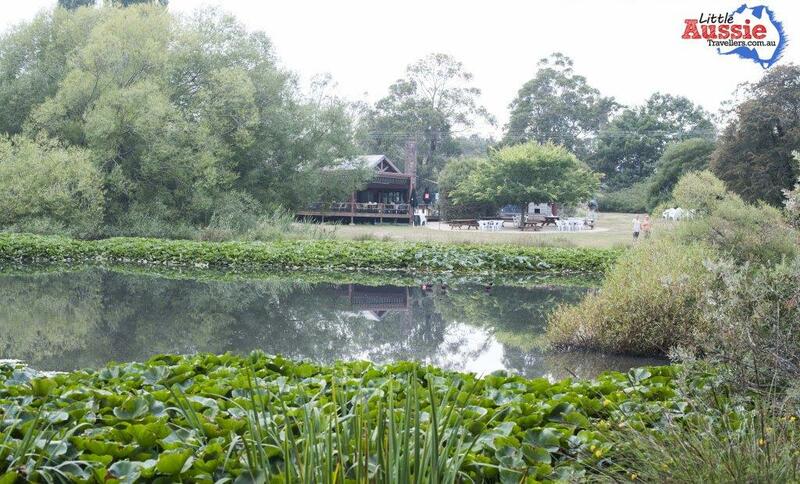 Try and spot some native wild life including wombats and wallabies with the children. Visit the interesting town murals of Sheffield and end the tour with a visit to Ashgrove Cheese Farm. Tasmanian Devil Sanctuary: Located close to the entrance to Cradle Mountain-Lake St Clair National Park is Devils @ Cradle, which looks after the conservation of the Tasmanian Devil, Spotted-tail Quoll and Eastern Quoll. Tours are offered daily where you can learn more about the world’s largest carnivorous marsupial, the Tasmanian Devil, and even get up and personal with one! 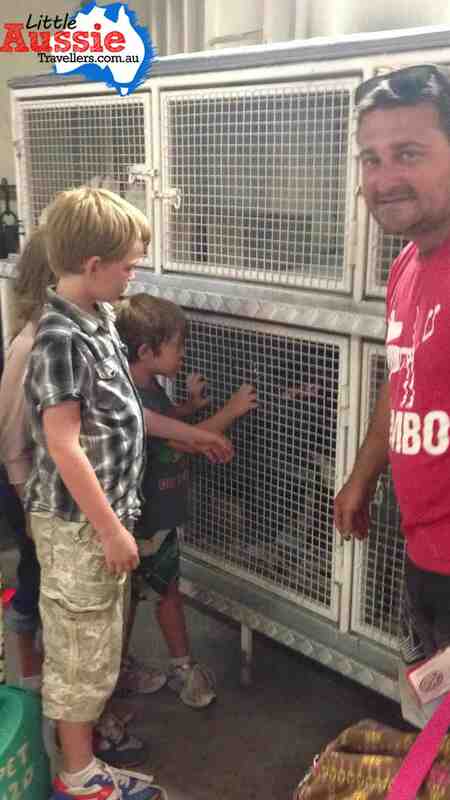 Night Feeding Tours are also available where you can see the nocturnal habits of the Tasmanian Devil feeding in a group. You and your family wouldn’t want to miss out on this unique opportunity to see the endangered Tasmania Devil. Fly to Launceston or Hobart and drive two hours or four and a half hours to Cradle Mountain respectively. If you choose to take the Spirit of Tasmania ferry to Devonport, it is only a one and a half hour’s drive from Devonport to Cradle Mountain. 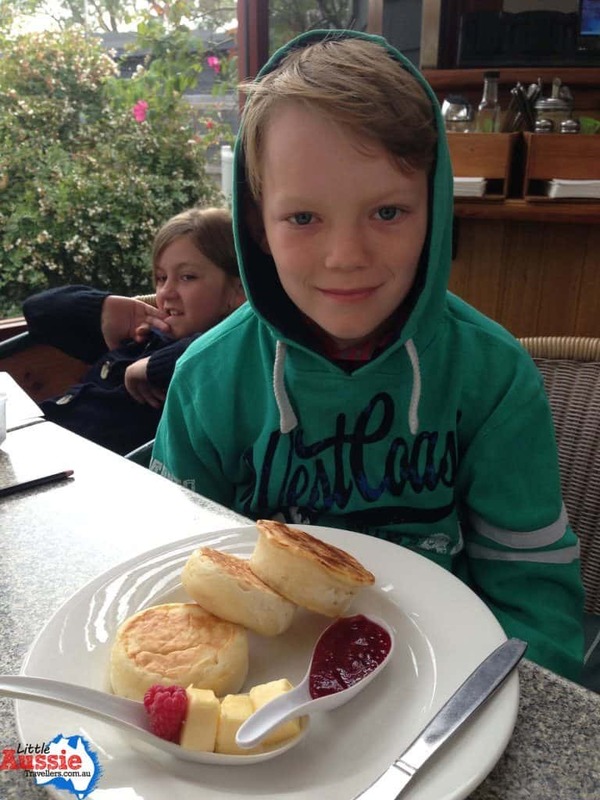 Have you visted Cradle Mountain region with kids? We’d love to hear your stories, feel free to comment below.